And, it’s starting to pay off. As I mentioned in an earlier post, Sierra Bullets took an interest in my photography featuring some of their products. At first it was for social media, but then they wanted to license the image for print use. So, I’m proud to say that my photo is featured in their advertisement in the April issue of Guns Magazine. 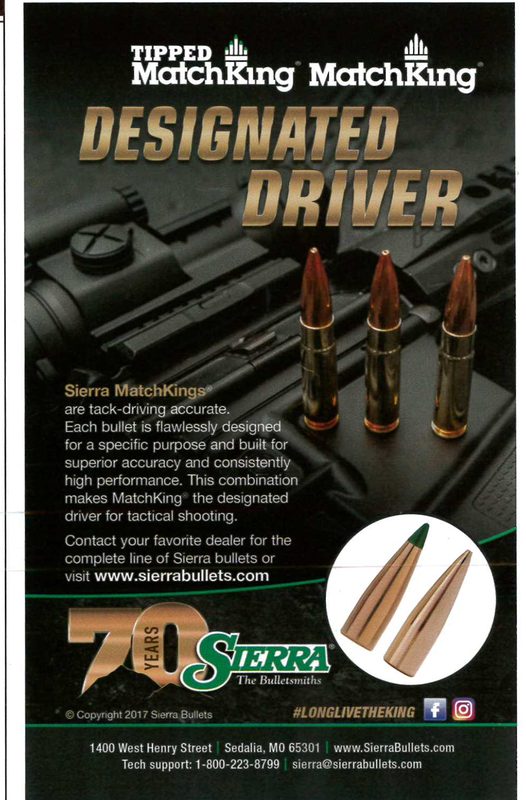 Thanks to Sierra Bullets for supporting myself and this site! If anyone out there wants to inquire about my photographic services for the firearms industry, don’t hesitate to drop me a line - dv at regularguyguns com - if you type it out, I know you are serious, ha ha.